Think twice before you bite some cheap bait. You might end up paying much more in the end. Locksmithing is a competitive industry. But that does not mean all of the competition is worth your time, effort and hard earned money. We often get phone calls asking for prices, and many times our quote is met with, “I found a locksmith online that advertises service for $15.00”. We take this opportunity to try and educate our potential clients, sharing with them tips to choosing a quality, professional locksmith company. The best way for you to filter the duds from the professionals is by asking a few questions: Is the company licensed? Are they bonded and insured? Can they give you a written estimate before any work is done? Where are they located? Do they have a storefront**? Who do you speak to if there are any issues after the service? Is that $15.00 just to come out? Most likely, when a company quotes $15-$20 to come to your home or office, they will make up the difference…… by a lot. We found this article from the BBB in St. Louis about a nationwide company based in Michigan, who we often see pop up on local search engines advertising $15.oo service calls. Click here to read how they are being accused of Bait and Switch tactics. 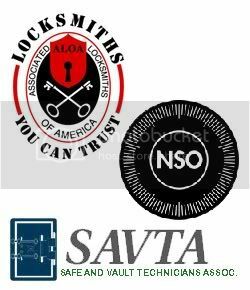 Research locksmith companies before you need them. Keep that information in your purse or wallet in the event you need such services in the future. Get an estimate from the locksmith for all work and replacement parts before work begins. Do not trust estimates given over the phone. Ask for identification. Make sure you have a locksmith’s full name, the company name and contact information before agreeing to work. Reputable locksmiths should ask for your identification before accessing a vehicle or building. Make sure the locksmith has insurance coverage in case there is damage to your home or vehicle. Pay by credit card in the event you want to challenge the charge. 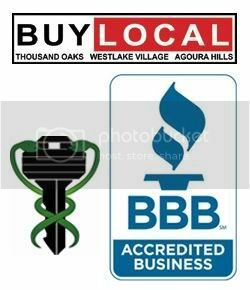 The Better Business Bureau that Brucar Locksmith is proud to be a member of is the BBB of the Tri-Counties http://santabarbara.bbb.org/. **Some mobile locksmiths are legitimate, just do your research. ← Painted keys make a great gift! Inexpensive and personal?…….WIN!